I first sided with the Mercator against its critics when, on one of the rare occasions I thought about Greenland, I realized just how rarely I thought about Greenland. Despite seeing it hanging there like a giant icy sword of Damocles atop every wall map, we just don’t seem to care about it. Antarctica, too, is massively inflated on the Mercator, to the point that it’s as big around as the entire earth. But few would argue that mapmakers intended to depict it as a superpower. Meanwhile, if maps lead us to ignore Africa, they should also lead us to treat cartographically bloated Canada as one of the most important countries in the world. We don’t. He goes on to argue that if the Mercator projection was a reflection of European power, Africa would have been emphasized, not minimized. Of all the problems with criticizing the way our maps depict Africa, the most ironic is that it ignores the continent’s history of colonialism. 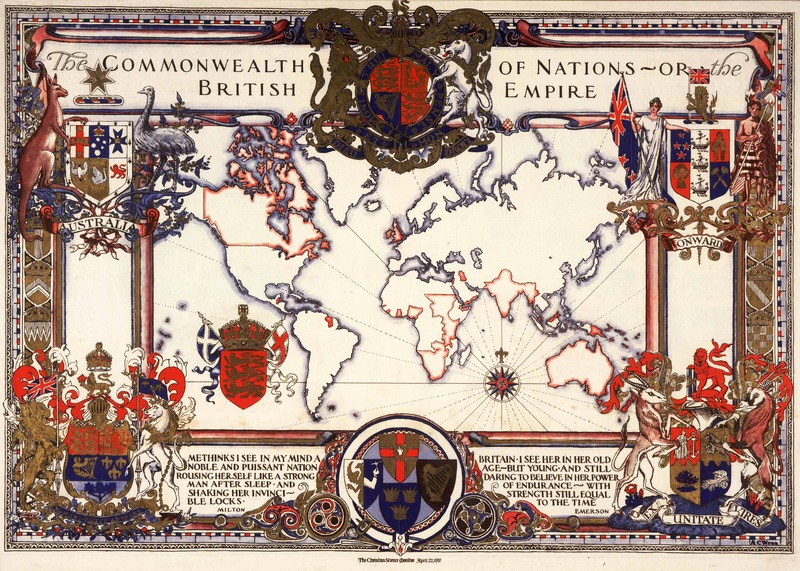 Consider the motives of a colonial-era British cartographer—perhaps the kind of guy who made this bold, colorful propaganda map […] showing off the queen’s dominions. His incentive, if anything, would have been to make Africa appear as large as possible, since Britain then ruled a large share of it. With India along the same latitude, expanding the size of the earth’s equatorial region would have been a perfect way to color more of the map imperial pink. Previously: How the Mercator Projection Won the Internet. Further reading: Rhumb Lines and Map Wars: A Social History of the Mercator Projection by Mark Monmonier (my review).